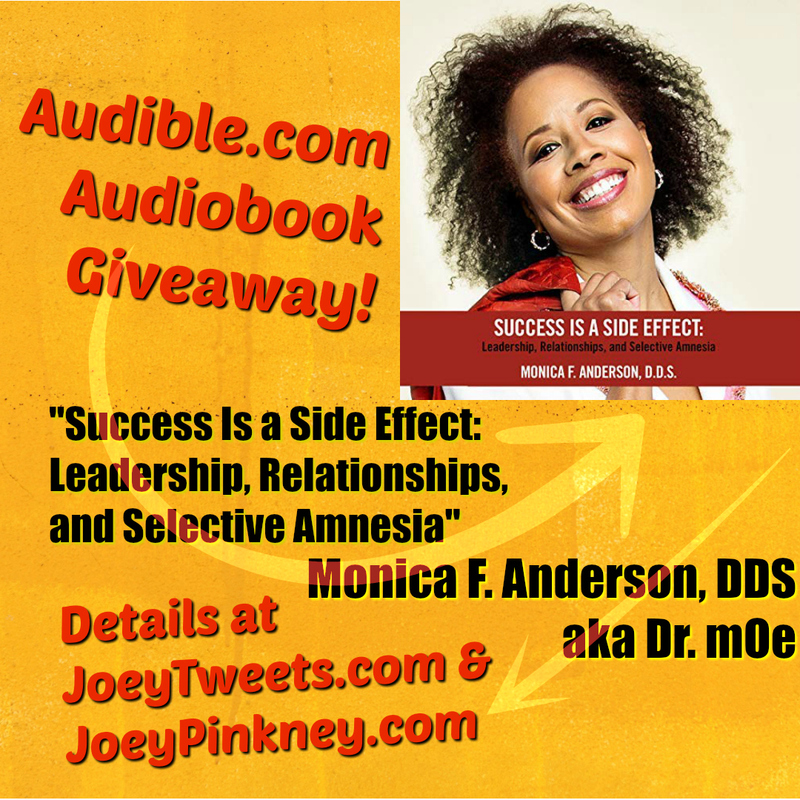 Monica F. Anderson, DDS, is giving away the audiobook “Success Is A Side Effect: Leadership, Relationships, and Selective Amnesia” to twenty (20) lucky listeners via JoeyPinkney.com and JoeyTweets.com. All you have to do is comment on this post to participate. This audiobook will be absolutely free. Use an email address that is readily available to you. After replying to the verification email, you will be sent the download code and instructions. How did she win? She was one of the first five people to comment on 5 Minutes, 5 Questions With… Janie de Coster, author of What My Sister Don’t Know.